Metal working fluids (MWFs) provide important functions such as lubrication and cooling in the machining of metals. This book reviews the issues surrounding the use of fluids for cutting and grinding throughout the metal working process, from selection and testing to disposal. The book opens with chapters considering the mechanism and action, selection and delivery of MWFs to the machining zone before moving onto discuss the many issues surrounding MWFs during machining such as selection of the proper MWF, environmental concerns, supply methods, circulation and monitoring. The final chapters discuss the maintenance, replacement and disposal of MWFs. 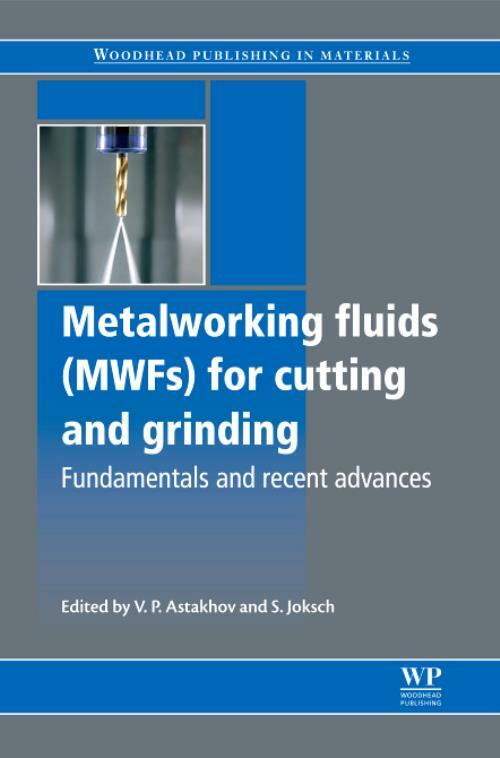 With its distinguished editors and international team of expert contributors, Metalworking fluids (MWFs) for cutting and grinding is an invaluable reference tool for engineers and organizations using metal cutting/machining in the manufacturing process as well as machine designers/manufacturers and machining fluid/chemical suppliers. Astakhov, V PProfessor Viktor P. Astakhov works in the General Motors Business Unit, USA. Joksch, SStefan Joksch is the Technical Director at Oemeta Chemische Werke GmbH.